The EU General Data Protection Regulation ((EU) 2016/679 (GDPR) replaces the Data Protection Directive 95/46/EC with effect from 25 May 2018. It is designed to harmonize data privacy laws across Europe, to enhance and empower all EU citizens’ data privacy rights and to reshape the way organizations processing personal data approach data privacy from the outset. The GDPR and related EU/UK data protection laws apply to organizations worldwide that process personal data of EU/UK citizens. Protecting your personal data, your confidential information and your privacy is important to us, therefore we apply the same level or protection whether you are an EU citizen or not. How we use your information is explained in this Privacy Notice. This Privacy Notice explains how Steinfeld Law LLP (“we”, “us”, “our”), collects, uses, shares and otherwise processes your Personal Data in connection with your relationship with us as a client, acting for a client or being generally interested in our services and our publications in accordance with applicable data privacy laws and the GDPR. When we do this we are the ‘controller’ of this information for the purposes of the GDPR and other applicable data protection laws. Our Data Protection Officer is Cyma Hanif, (cyma.hanif@steinfeldlaw.co.uk). The term “Personal Data” as used in this Privacy Notice means any information relating to you such as your name, contact details, bank account details, etc. Personal Data does not include data from which you can no longer be identified such as anonymised aggregate data. The kinds of Personal Data we may collect include your contact details (such as your address, email address and telephone number) and information such as your business address, nationality, place of residence, job title and payment data such as data necessary for processing payments which we will request from you. In addition, we collect the Personal Data you choose to provide to us, e.g. if you contact us by letter, telephone, email or any other means of electronic or personal communication. 4. if we (or a third party) have a legitimate interest which is not overridden by your interests or fundamental rights and freedoms. Such legitimate interests will be the providing of legal services by us, administrative or operational processes within our firm and direct marketing. Your Personal Data may be processed by the Firm to comply with anti-money laundering checks, and to deliver legal services to you and/or the person, firm or company you work or act for. We may also use your Personal Data to inform you about our services, new (legal) developments and our marketing events. Please note that we may use or disclose Personal Data if we are required by law or regulation to do so or if we reasonably believe that use or disclosure is necessary to protect our rights and/or to comply with judicial or regulatory proceedings, a court order or other legal process. It is in your sole discretion to provide Personal Data to us. If you do not provide us with all or some of the Personal Data we request, we may not be able to accept an engagement from you, to provide all or some of our legal services, to enter into a contract or engagement with you or to send you the requested (marketing) information. When using your Personal Data for the purposes and on the legal basis described above we may share your Personal Data with other law firms and services providers we work with. We may also have to share your Personal Data with regulators, public institutions, courts or other third parties. protection. These safeguards are designed to protect your privacy rights and provide you with remedies in the unlikely event that your personal information is misused. If you want more information about your rights under the GDPR please see the Guidance from the Information Commissioners Office on Individuals rights under the GDPR. Email, call or write to our Data Protection Officer, Cyma Hanif, who can be contacted on 0207 725 1319, cyma.hanif@steinfeldlaw.co.uk or 22 Manchester Square, London, W1U 3PT. We hope that you are happy with our service and that we or Cyma Hanif, our Data Protection Officer, can resolve any issues or complaints that arise. Please get in touch if you have any concerns (See Get in touch below). However, the GDPR also gives you the right to lodge a complain with a supervisory authority, in particular, in the European Union (or European Economic Area) the country or state where you work, normally live or where the alleged infringement of data protection laws occurred. The UK supervisory authority is the Information Commissioner’s Office who can be contacted at https://ico.org.uk/concerns/. which override your interests, rights and freedoms or for the establishment, exercise or defence of legal claims. We will take appropriate technical and organisational measures to keep your personal data confidential and secure in accordance with our internal procedures covering the storage, disclosure of and access to data. Personal data may be kept on our personal data technology systems, or in paper files. We reserve the right to update this privacy notice at any time, and we will make an updated copy of such privacy notice available on our website (www.steinfeldlaw.co.uk). The changes will take effect as soon as they are posted on this website. 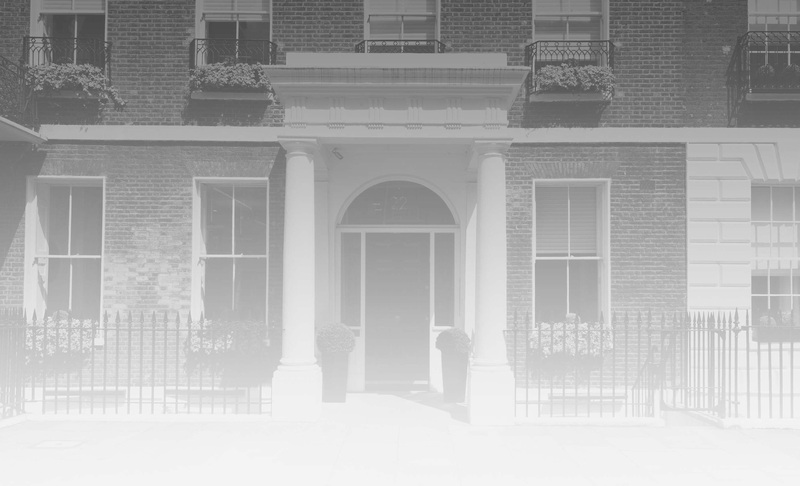 The best way to reach us is to email our Data Protection Officer on cyma.hanif@steinfeldlaw.co.uk or alternatively, please write to us at 22 Manchester Square, London, W1U 3PT or call us on 0207 725 1319.